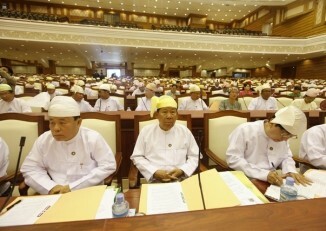 Burma parliament’s lower house was said to be shocked by the demise of a Union Solidarity and Development Party (USDP) representative who collapsed suddenly and died during the legislative session of parliament on Thursday. Aung Hsan, 66, was a member of the ruling USDP party and elected as a lower house MP for Rangoon’s Pabedan township constituency in the 2010 election. He had submitted a question in the lower house on Thursday regarding security measures and preparations for the upcoming SEA Games in Burma. 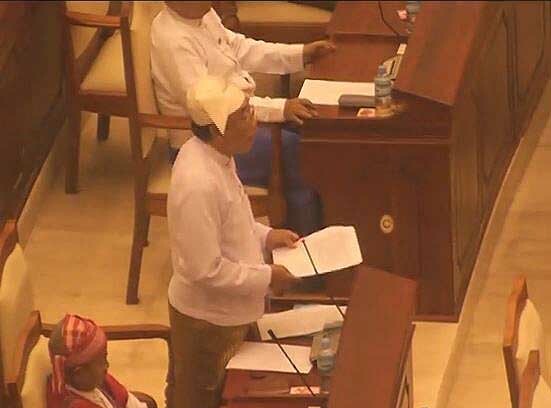 Deputy Sports Minister Thaung Htike had just replied to the question when Aung Hsan collapsed in his seat, according to a fellow lower house member Min Thu. The cause of his death has not yet been announced. A two-minute silence was held for the MP when it was announced that he had died. Later, a proposal was submitted by MP Myint Thu of Dagon Myothit East constituency suggesting that an ambulance and medics be constantly on call at the parliament building in Naypyidaw.